When an electrical problem comes on quickly and you need to find a Long Island industrial electrician fast, what's the best way to choose one? A good industrial electrical contractor is often hard to find so many people just choose the first one that's available. The dangers of this are that the job may be to a poor standard, you may have been overpriced and there may be no guarantee. 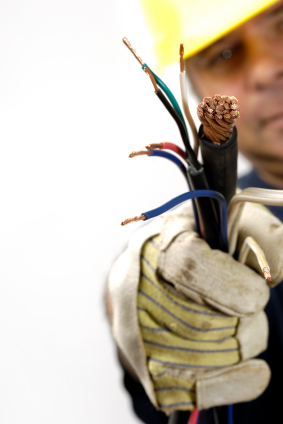 At Sure Line Electric Group, our professional Long Island electricians, can help will all types of electrical repairs from Buss Duct Installations to Crane maintenance AC/DC drives. We are proud to serve all industries in Long Island and Huntington, NY. Bay Lighting & parking lot lighting along with office lights & emergency lighting. 300-600 amp GE buss ducts to bring power to any point in your factory, installed to your specifications. Basic and advanced motor control installations & design. Single phase, 3 phase, DC, AC, speed control and more. Power cabinets, large & small panels, disconnects, twist locks, and more. Local System grounding & bonding to your equipments specifications. Step up or step down power transformers installed to meet your needs, and more. "I used this company late last year and loved them! They put all new high hats in my kitchen and my bedroom... such a sleek and clean job. Very nice people and explain in detail what they are going to do. Very reasonable prices for an electrical company."